The diverse landscapes of England, Wales & Scotland have produced some of the world’s most important works of literature for centuries. Now, its your turn. Using this guide, you can navigate your way through Britain’s historical influence on literature. Walk in the footsteps of the literary geniuses that shaped Britain’s identity as we know it and discover the majestic landscapes that inspired their words during your tour of Great Britain. The beacon of academia, Oxford is synonymous with its historical university and influence on the literary world. The establishment dates to the 11th Century and has nurtured philosophical vision, artistic flare and spellbinding literature for generations, including Oscar Wilde, JRR Tolkien & C.S Lewis. 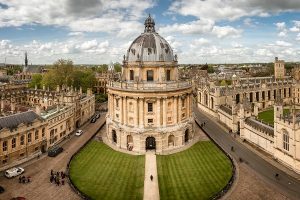 Oxford is the mecca of academic achievement and ranks as one of the most exclusive universities in the world. Exploring the literary impact of the Cotswolds? You need look no further than Stratford-upon-Avon. 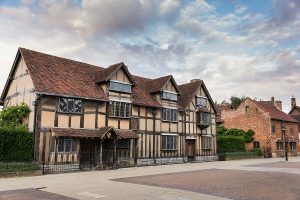 Home of the world’s most influential bard, William Shakespeare’s works have inspired poets, novelists, playwrights and musicians alike for more than 500 years and his remarkable vision has influenced the very essence of the English language. 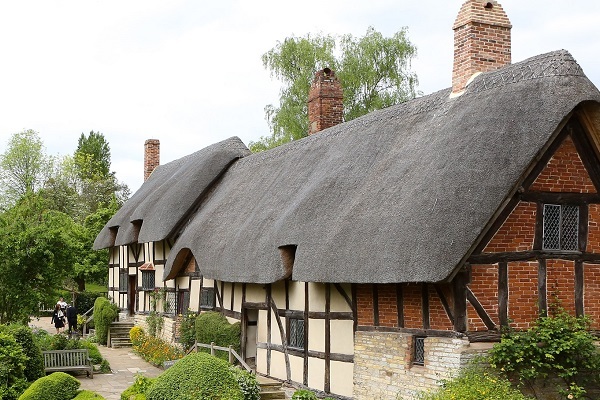 Tourists can visit Shakespeare’s childhood home as well as an array of other houses directly connected to the life of one of England’s most important creative minds. The rolling hills and sweeping green fields of the north Yorkshire Moors have inspired poets and authors for generations, although none have left a more profound mark than James Herriot himself – hence the namesake. Herriot’s veterinary experience and inspired vision of the unspoilt countryside gave birth to the classic series All Creatures Great and Small and today, Herriot country represents the beating heart of the north Yorkshire Moors. Staying in the Moors, we must of course include Emily Bronte’s timeless romantic novel Wuthering Heights. Inspired not only by the Moors natural beauty, but by the ever-changing nature of the landscape itself. Bronte’s contradictory depiction of the north Yorkshire Moors has left an undeniable impact on the region’s identity and has had a lasting effect on the creative world of romantic literature. 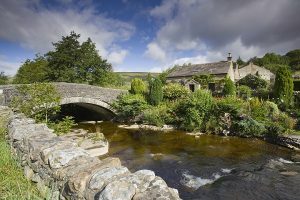 The tranquil setting of the Lake District is enough to inspire even the most mundane mind, so it’s no surprise that some of the country’s most beloved poems and childhood stories were created here. 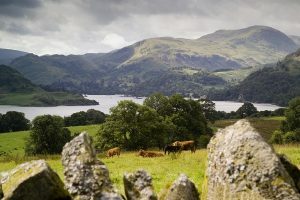 From the Lakeland villages and little rivers to the highest mountain peak in England, the Lake District’s surreal setting has harboured the creative minds of Beatrix Potter and William Wordsworth, giving us the timeless childhood tales of Peter Rabbit & the quintessential Lake District poem Daffodils. 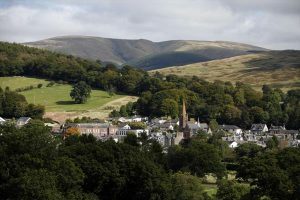 Across the ancient border between England and Scotland, nestled in the Scottish Lowlands lies the quaint market town of Dumfries, where Scotland’s national poet Rabbie Burns spent the final years of his remarkable life. Often overlooked, The Queen of the south is synonymous with Burns. His former home is open to visitors as well as the Robert Burns Centre that tells the story of the Bard’s extraordinary time in the market town. The Welsh counterpart to Burns, the untouchable works of Dylan Thomas; Do not go gentle into that good night & And death shall have no Dominion have left their mark on Welsh culture and literary history on a global scale. Thomas’ creative genius was matched only by his unstable nature and his life was cut short at the age of 39. 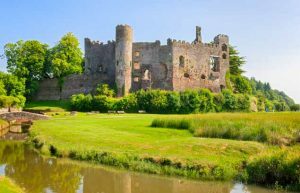 His final years were spent in Laugharne, where the iconic poet wrote some of his most powerful works in his boathouse overlooking the Taf before his tragic death. Guests can visit that boathouse today as well as Laugharne castle, a site used by Thomas himself when writing. 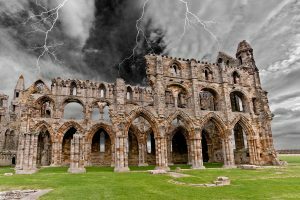 The forbidding ruin of Whitby Abbey not only holds the key to the medieval history of the town, but its harrowing presence gave birth to the world’s most infamous vampire. Bram Stokers’ Dracula has shaped the course of gothic literature, culture and media for over a century and the haunting character remains the unrivalled king of all fictional villains. From the south west corner of Wales, to the ancient border of the Scottish Lowlands, the UK’s combined landscape is an authors’ dream. Be sure to include a visit to any of these regions when planning your self-driving or rail tour of the UK.